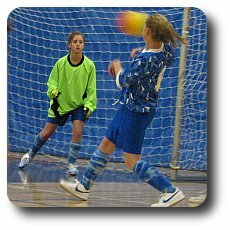 Futsal San José is a competitive indoor soccer league, which is affiliated with the California Futsal Association North and the United States Futsal Federation. Futsal is the official FIFA 5 versus 5 soccer game, usually played indoors on fields the size of basket ball courts. 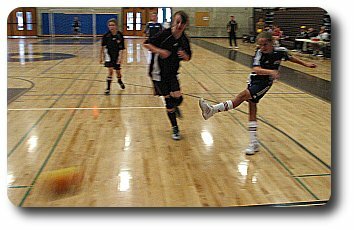 Futsal San Jose was founded in 2006 and has its first season in January 2007. There must be at least one represenative from your team present at the meeting. It can be a coach, assistant coach, manager, or parent. You must have one team representative present at the meeting or you will not get games scheduled. Registration for the Competitive Winter Season 2018/2019 is OPEN! · Cost per team for up to 12 players: $735 before Oct 24th, $815 starting Oct 25th. · LAST DAY TO REGISTER IS WEDNESDAY NOVEMBER 14th. · Mail you’re your check to: Futsal San Jose, c/o Rosemary Alvarez, 7234 Via Bella, San Jose, CA 95139. · Checks must be postmarked by Oct 24th to take advantage of the early bird pricing. Cancellation fee before November 14th is $50, no refund if you cancel after November 14th. · We will make every attempt to match teams according to their capabilities, by taking into account their coaches opinion, outdoor experience, futsal experience and level of play (e.g. Bronze, Silver, etc) as entered by the Coach. · We strongly recommend team sizes of 10 players or less. You must have at least 6 players to register the team. Players can be added up to 2 weeks into the season ($20 fee if you add them later). No more than 12 players per team. · Only when we receive your check and printed and signed form have you registered correctly. a. Dates - The season will begin Saturday December 1st and end Sunday March 3rd. There will be no games the weekends of December 22rd and December 29th. You will also need to register your teams, players, and coaches with USSF. You can use this link provided http://futsal.com/registration/ or click on the registration tab on the left side of this window and then click on USSF registration. For frequently asked questions use this link http://www.futsalsj.org/faq.shtml or click the frequently asked tab on the left side on the screen. 2. The Season is 12 weeks. Accordingly, all teams will have at least 2 weekends without a game and possibly more if teams have more than 1 game on any given weekend. 2. Teams needing to reschedule will have to contact opponents directly through the Futsal San Jose website. ii. Contact any team in your division that is willing to trade places with you. In other words, find a team to play in your time slot against your scheduled opponent and your team would play in their timeslot against their scheduled opponent. iii. Forfeit - If no other option is available. 1. You will be required to provide game balls. You need at least one, and should have one in reserve as they sometimes go flat during games. U12 and under need a size #3 Futsal ball, all older teams play with size #4 balls. If two teams of different age groups play each other the smaller sized balls are used, unless both coaches agree to use the larger balls. The same sized balls must be used for the whole game. 2. Players need shin-guards, indoor shoes, and a uniform (shirt, shorts, socks). T-Shirts with the same color are fine, use a marker to add numbers please. You should have one set of white shirts, and one set of color shorts. Goalkeeper need a different shirt (same rule as outdoor soccer). If you have uniforms for nearly all players but one or two they can wear a similarly colored t-shirt and shorts. NOTE: Outdoor balls are not allowed in the gym at any time. 1. We allow each team to have up to two guest players per game, as long as the total number of players available for a game is 7 players or less. Example: if you have 6 players from your team you can add one guest players. 2. Guest players must have a valid Futsal San Jose player pass for the season, and be of the right age for your team.